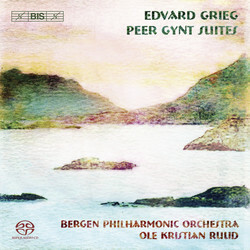 Since the release of the first volume, (Piano Concerto and Symphony, BIS-SACD-1191), in February 2003, this series has been gathering the most extravagant praise, both for the committed performances of Ole Kristian Ruud and the Bergen Philharmonic – Grieg's 'own' orchestra – and for the sound quality, which has been held up as a model for all labels making orchestral Surround Sound recordings. With this, the sixth, instalment the turn has come to the Peer Gynt Suites, possibly the best-loved of all Grieg's orchestral music. It is anyway a fact that the instant popularity of Morning Mood, In the Hall of the Mountain King and Solveig's Song has contributed to Ibsen's drama becoming one of the most widely played. The music that makes up the Suites has already been released in the series as part of the 2-disc set BIS-SACD-1441/42 which consists of a concert version of the play, including the complete incidental music as well as excerpts from the spoken text. 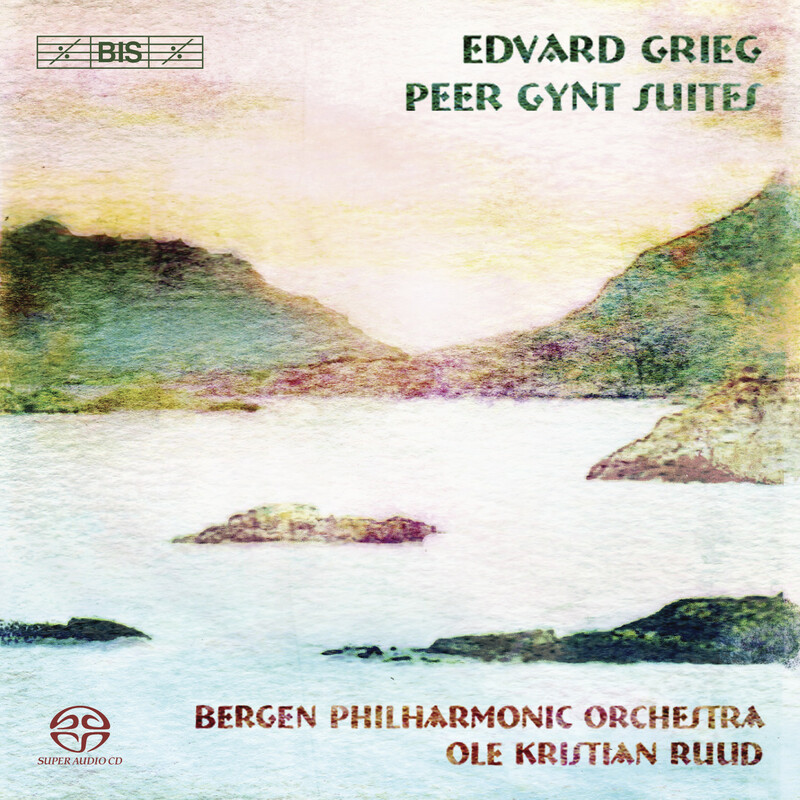 The critical response was overwhelming, as exemplified by the reviewer on MusicWeb International who wrote: 'The Bergen Philharmonic Orchestra give exemplary performances under Ole Kristian Ruud, making even the most hackneyed of movements sound new-minted... these discs provide a wonderfully refreshing view of Grieg’s music, in fine idiomatic performances.' This music has now been re-recorded for this issue – in performances every bit as idiomatic and refreshing – and is coupled with three works that Grieg originally composed for the piano, but later orchestrated. One of these is Bell Ringing, which for a long time used to open the Bergen Festival, and in which Grieg is at his most forward-looking, exploring harmonic innovations and effects that were to be used by the impressionists. 05 I. Bruderovet. Ingrids Klage (The Abduction of the Bride.